This 8 in. 50 tooth blade is designed to cut a variety of ferrous materials 3/32 inch and thinner including aluminum The blade has vibration damping which reduces heat, sparks, and noise for cleaner, smoother, burr free cuts. 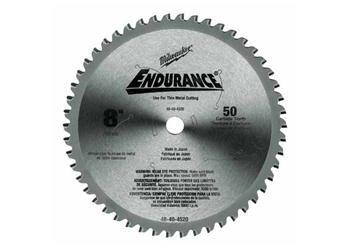 Use with Milwaukee Dry Cut Saw 6370-20.